Drawing on the experiences of scores of mothers and daughters, Dellasega takes a hard look at the lives of girls in crisis -- once happy, carefree children who are now struggling with eating disorders, unplanned pregnancies, substance abuse, and severe mental problems. These are stories of girls on the edge, and mothers who are trying everything to save them. Yet even in the most desperate situations, Dellasega hears the same clear message: the key to survival is the support and the understanding of others going through the same thing. 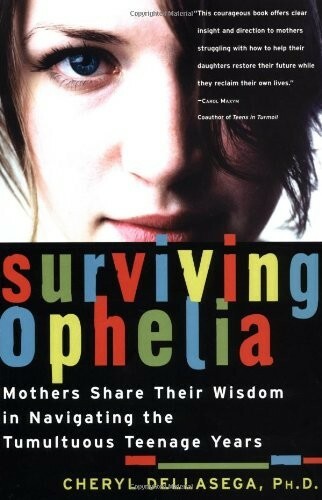 Surviving Ophelia is a book that provides the community that mothers of troubled teenage girls need more than anything. Powerful and heartfelt, this book captures both the pain and the strength of mothers who are living with the daily challenge of raising teenage daughters today. 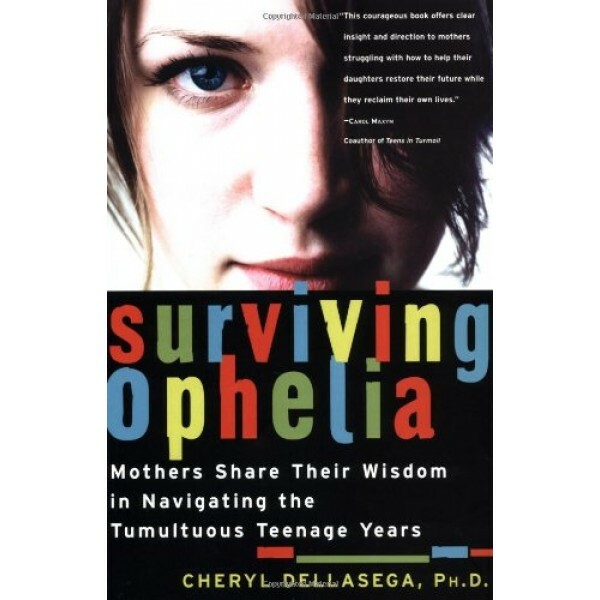 Surviving Ophelia by Cheryl Dellasega, a clinician at Penn State's College of Medicine and a mother of three, provides a community for mothers who, like she, have the often bewildering and unnerving task of raising a teenage girl (an Ophelia) in trouble....In response to Mary Pipher's bestselling Reviving Ophelia, these mothers share their thoughts and feelings on a multitude of topics including eating disorders, fitting in, depression, institutions, rebellion and boundaries, the absence or presence of fathers, and the "crazy soup emotions" of love, anger, and frustration. Surviving Ophelia is evidence that each teenager's situation is unparalleled, and Dellasega does not offer any finite solutions to the tumultuous teen years. Instead, the author and mothers provide parenting ideas, from the practical to the radical, and measure their own success and failure.